A Woman of Paris is most famous for who isn’t in it. 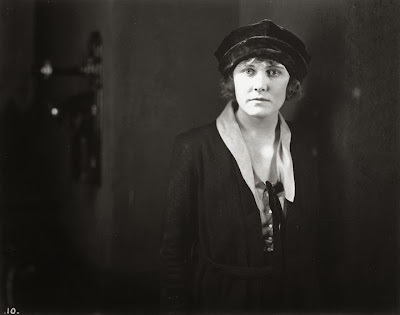 Charlie Chaplin directed the film, a personal project to ensure star Edna Purviance’s lasting success, but aside from an indistinguishable cameo role, he’s nowhere to be found onscreen. History tells us this was a mistake. 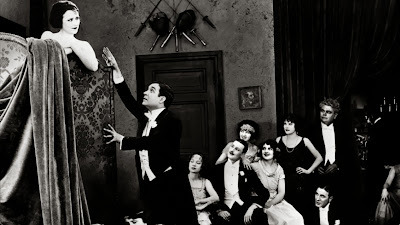 The movie fared poorly, with audiences showing up to see a Chaplin film and leaving disappointed. A Woman of Paris not only lacks a Tramp; it’s a drama to boot. Though no one who bought a ticket could have claimed to have been duped, their expectations were not met, and that’s what counted in the end. Purviance arguably deserved better. She was, in my opinion, Chaplin’s finest leading lady—his co-star in all but one of the 1916/1917 Mutual shorts, which stand, if judged collectively, as his greatest work. She was a talented comedienne with a splendid, subtle range. Never a great beauty, Purviance brought a sense of normalcy to Chaplin’s work that enhanced it—for the Tramp was so weird a character that he occasionally needed that grounding. Chaplin’s later leading ladies, most especially Paulette Goddard, were stunners. We gaze at them, as the Tramp does, as though they’re occupants of a different world. Purviance, though, seemed like us; or at least, the person we would be if we were in her place: bemused, and sometimes disturbed by this strange little man. This common touch is absent in A Woman of Paris, which is one of its weaknesses. Purviance plays Marie St. Clair, a French peasant girl who lives with her widowed father (Clarence Geldart). Humourless and cruel, the man walks through his home like a machine, locking his daughter in her upstairs bedroom at night among other tasks. It is suggested, though never explicitly, that Marie has a loose reputation. Marie has a lover, named Jean (Carl Miller), with whom she plans to elope. But their plan falls apart early in the film, when Marie, who has snuck out of her bedroom window for a rendezvous, returns to find that her father has locked the front door. He has done this unaware that she is gone. This would have been a good setup for a gag. Were this a true Chaplin film, we’d have spent the next fifteen minutes watching the Tramp try to enter that house without being detected. Were it a Mutual short, Purviance might have been the one inside, trying to help him. But here she is the lead, and this is a sadder film, and so Jean merely knocks on the door. Marie is disowned that night, and through a set of quite convoluted events, finds herself in Paris, without Jean, living a very different life from the one she’d known in the village. From here the film progresses into complicated, and occasionally lurid, territory. Marie becomes a kept woman of Pierre Revel, Paris’ most eligible bachelor. Bankrolled by this tycoon, she lounges through her days in lush, over-decorated bedrooms, emerging at night to party with Pierre and her boozed up, twenty-something friends. It’s a comfortable life, but not a stable one. Though much older than Marie, Pierre takes life and love even less seriously than she does. He gladly admits to Marie that he’s engaged to another woman—a richer woman—and sees no reason why it should change their relationship one bit. The question for her, and ultimately, for the film, is whether this should satisfy her. We all have to face choices like this. If not in our relationships, then in our careers. How much of our dignity or freedom do we sacrifice for the sake of security? For stability? Money? Benefits? We can all relate to Marie’s predicament on some level. Yet Purviance is strangely flat in the role. Her naturalness—that unaffected humanity she projected so well in her roles opposite Chaplin—is absent from A Woman of Paris. The fault lies partly with the director, who was too often content to photograph her in stoic poses that failed to tap her innate energy. But Purviance never truly inhabits Marie either. Her upscale flapper-wear always looks like a costume, and an ill-fitting one. Maybe Purviance felt, as I did, that deep-down, Marie is kind of bland. Just kind of there. She’s the sort of person you’d meet at a wild party, and afterward, you’d remember the party. Marie is at her best when she’s with Pierre. But this too is a problem, since Pierre is not the protagonist. Played by Adolphe Menjou, with all of his trademark delectable cool, Pierre becomes the current to Marie’s dim bulb. In these scenes she seems more animated and intelligent, bantering with the older man about the nature of their relationship, her hopes and dreams, and whether any of this is really worth worrying about when they’re having so much fun. Menjou’s chemistry with Purviance is so good that I’d compare them to William Powell and Myrna Loy. The difference being that Loy held her own in the Thin Man films, whether Powell was onscreen or not. There were the makings of something better here. 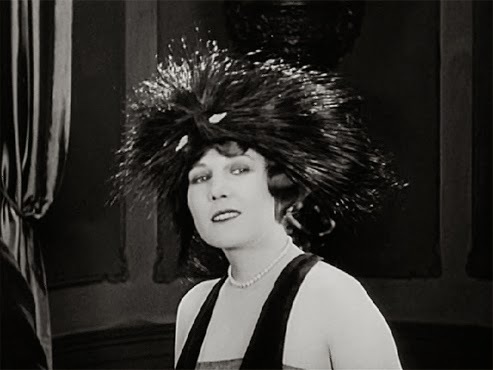 A Woman of Paris is worth seeing, especially for those with a love of films of the 1930s, which it prefigures more obviously than most silents do, even ones from the later 20s. For those who think Chaplin stayed stuck in his glory days, I submit that, with this film, he was looking ahead before those glory days were even over. Nevertheless, it is no hidden gem. 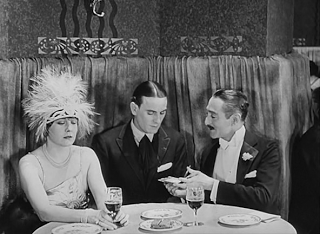 Despite the director’s best intentions, this is Adolphe Menjou’s film, and poor Edna’s just in it. Found the Criterion Collection HD edition on Hulu. Will check it out. Thanks!